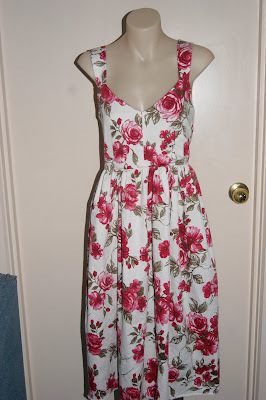 Happy news...I finally won a dressmaker's dummy on ebay for $55. I am so happy! I pick it up on friday, woot woo. If it doesn't work out I wont be too upset as my sewing teacher has offered my hers (the dummy's name is gertrude) for $50. She used to do wedding dresses, apparently its in perfect condition so maybe I'll end up with two! Have you named your dummy? I've noticed people doing that a lot lately. The photo looks squashed but i don't know how to fix it, sorry. As you most likely can tell its unhemmed, and i have pins sticking it in so it looks slightly odd in the waist, but its fine in real life, i took the pins out. I'm only taking the dress up about 2 cm not 3.2cm like it calls for. This is not my dress makers model this is just a mannequin that holds my wedding dress, although the dress is big as this manny is only size 6! Tiny. All in all I would make this dress again. 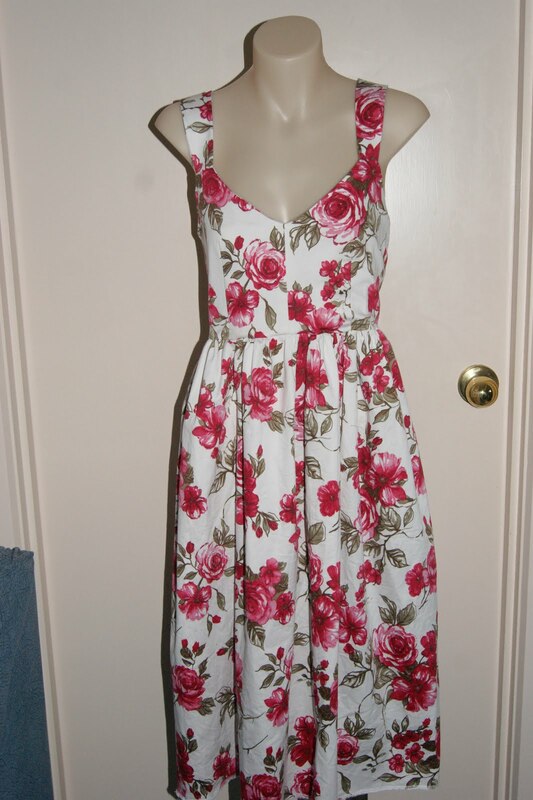 Its so nice to wear & will be great for the up coming hot weather. I can't wait! that is really nice! 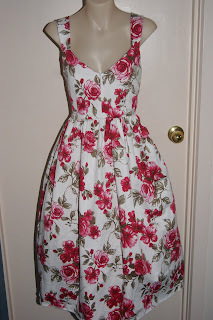 I am loving all the florals that are around the blog world lately. Great for Spring! Did you upload that pic onto blogger from your computer? Sometimes mine used to do that. I use flickr now to load all my photos. That way they don't get distorted and you can post bigger pics too. I just have the free account so I can only have 3 sets and only see 200 pics in my photostream at a time but its still good because they don't actually delete your pics when you get to 200 you just can't see them in your photostream. I love your dress! That fabric looks great in that style. And Congratulations on the new dress form. 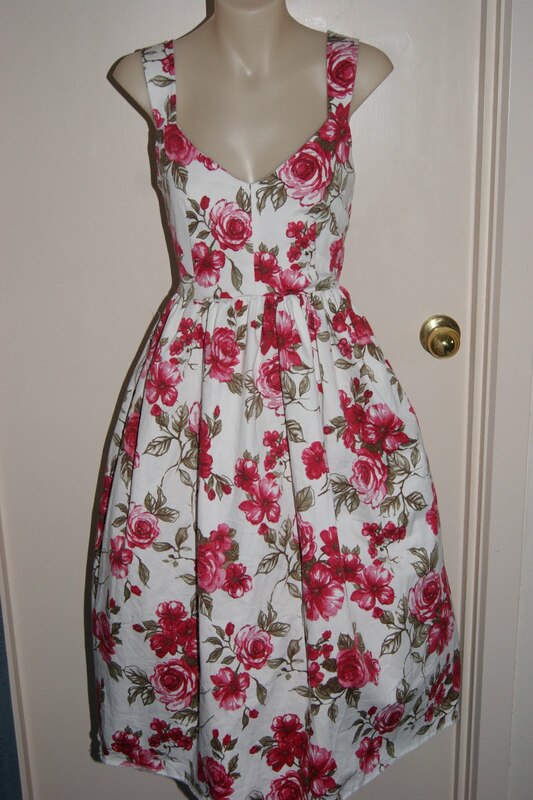 Lovely dress! I am considering making this pattern for the 4 bridesmaids in my daughter's wedding. Wish me luck! A foray into vintage vogue.